Getting a Level 7 in any IB subject is without a doubt one of the toughest challenges an IB student can face, particularly those aiming to get into competitive universities or colleges. IB Business SL/HL is no exception to this rule. Now personally, I got a high Level 6. As a matter of fact, I was one mark off a Level 7. Granted I took SL Business, there are a few very useful pieces of advice that I’m going to share with you today to help catapult you towards the higher grade boundaries. So let’s talk about the 4 steps to a level 7 in IB Business Sl/HL you can start doing right now to improve your chances of that impossible Level 7. You heard me right. You have to realise that the teacher is there to actually boost your ability to get a Level 7. Not just lecture you on facts from the textbook. Why does this matter? Ok let’s put it this way. How many times were there questions you wanted to ask your teacher but couldn’t bring yourself to out of embarrassment? If the answer was “quite a few times”, “sometimes”, or “too often” then you need to change that. Getting your hand in the air and demanding the teacher’s infinite wisdom is incredibly important, especially in IB. Doesn’t matter if you’ve got a million questions! 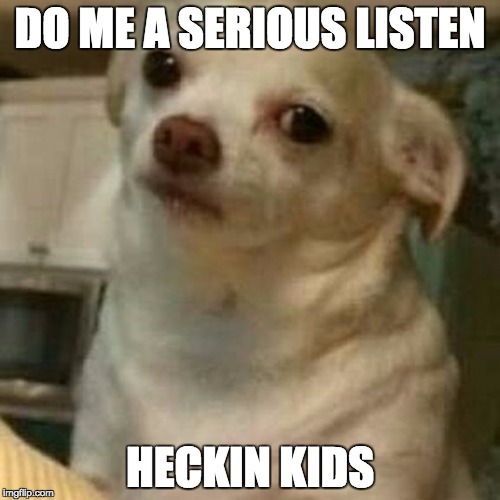 Ask them!! You’re not a nerd for doing so. You’re feeding your mind knowledge and new perspective which is incredibly beneficial to you and your grades. Discussing with the teacher in class about the theory or real life situations is how I managed to develop my ability to critically think AND I was able to retain knowledge better. How? Well generally, if you’re getting an answer to a question you’re genuinely interested in, you tend to remember that information better. Then find questions. Get curious about what you’re learning. Ask yourself how some of the theories in the book may apply to real life. That’s always a great way to get the teacher answering questions. 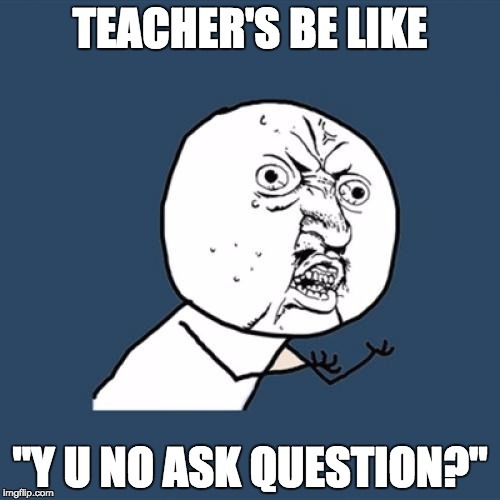 Personally, I asked quite a few questions in class and always discussed things with my teacher whenever I was curious. I can’t stress this step enough. Discussing with your teacher is key to higher grades. The IA is quite a significant portion of your grades for Business so don’t make the mistake of thinking this is just another bit of small coursework to do. I’ll be writing tips later on regarding how to write a good IA but for the time being in this article, just think of the IA as 25% of your grade (which I’m almost 100% sure it is). Plan your IB Business SL/HL IA out and research thoroughly. These are probably the most important parts of the IA and you need to be very mindful of these steps in the IA process. A great IA grade could make all the difference between a 6 and a 7 for your final business grade. We learn faster when we learn from our mistakes. Likewise, instead of feeling too bad about some harsh feedback on a test or an IA draft, learn and implement your teacher’s feedback into your next draft or test. Ok realistically, take about 5 minutes to feel bad and helpless. You’ve earned it. After that though, take a good look at how you’ve performed. Feedback can be of any sort but I would highly encourage you take the feedback for long answer questions on exam papers. Personally, this is where I needed to go over a lot of my teacher’s feedback. I mean let’s face it. Long answer questions in IB exams are annoying to answer. Your teachers are the ones that can help you out so make sure to listen intently. 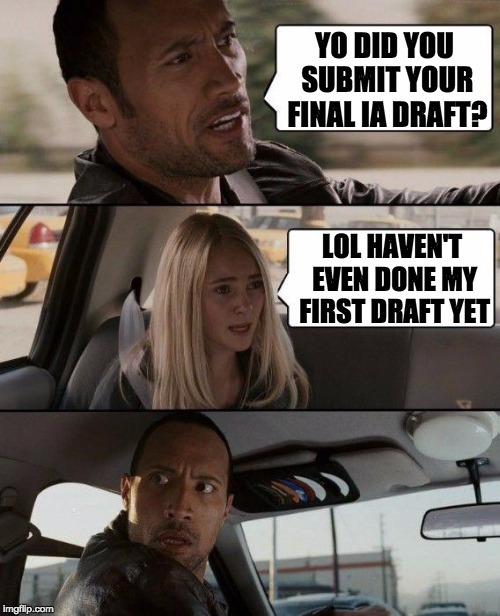 If it’s an IA, try not to panic too hard about your drafts, especially if it’s a first draft. It’s natural not to have an excellent first draft. Your second one will be better. Why? Because you’ve had feedback on your first one! Now hold on just a second. Don’t think this step is going to drastically change how you study. The classic memorizing technique of studying is still technically important for success in exams. However, I would urge you to start inheriting an additional study technique. That technique is to try to apply the theories and facts you’re studying to real life businesses. I did this a lot when I studied. I would go over some Business theory like the different theories of motivation or marketing strategies and try to think of real life businesses as well as how they implement what I’ve just read up. For example, for the marketing section of the syllabus, I was literally always relating most of the information to Samsung. If you know anything about Samsung, you know they’ve got an insane marketing platform and budget so anything I studied in Business, I related to Samsung or conversely, HTC, another phone manufacturer that I actually did my IA on and who don’t have such a strong marketing game. So that concludes this article. While it all sounds pretty generic, I can guarantee you that if you genuinely test out these tips, you’ll notice a significant difference in the long term whether it’s small tests, past papers, or IA drafts. I like how each topic was broken down into several subtopics and each was explained pretty in depth. Not only did this give structure to my studying but it also offered and organized system of all the topics I was required to know and it kept track of my progress.